Quite light, I remember it as better than this even five years ago. Good nostalgia factor though given it is the oldest brewery in North America next to Molson. Showing evident maturation after four years, like Father Henriques, the lively (American) wine and spirits writer of the 1970s said, “drink up”. Touch of damp paper oxidation, marked Belgian yeast note (that chalky taste some Champagne has). Good, not my favourite. A kind gift of reader Gary H, as were the first two above. Freshly brought in from Kingston, ON in growler. Super-fresh, state of the art American hops. Very good fizzy and iced. As it descends in the jug and loses carbonation, it stands very well though for an American cask ale. Krombacher Dark (draft at Biermarkt, Don Mills Shops branch). A super bier, rich full clean flavours, perfect balance of mineral, coffee, malt, and hop. The Germans are so good at this style. HB’s dunkel on draft at Biermarkt when available is as good but a different taste. DAB Dark in cans, same thing. It happened to be very fresh and this always helps a lot too, with a lightly-pasteurized, fresh beer like this you don’t get the tired-old-can effect and the true taste comes through. Austere, like a northern German pils IMO, I don’t really get the kolsch moniker (German top-fermented style from Cologne). Not really what I want in beer, but well-made. This is really good, pro-made all the way. From Radeberger I believe. Very good taste notes on the menu at Beer Bistro downtown in Toronto, so I needn’t say anything further, go down there and have one. Since I wrote so much recently about double bière/dubbel I had to try one, eh? 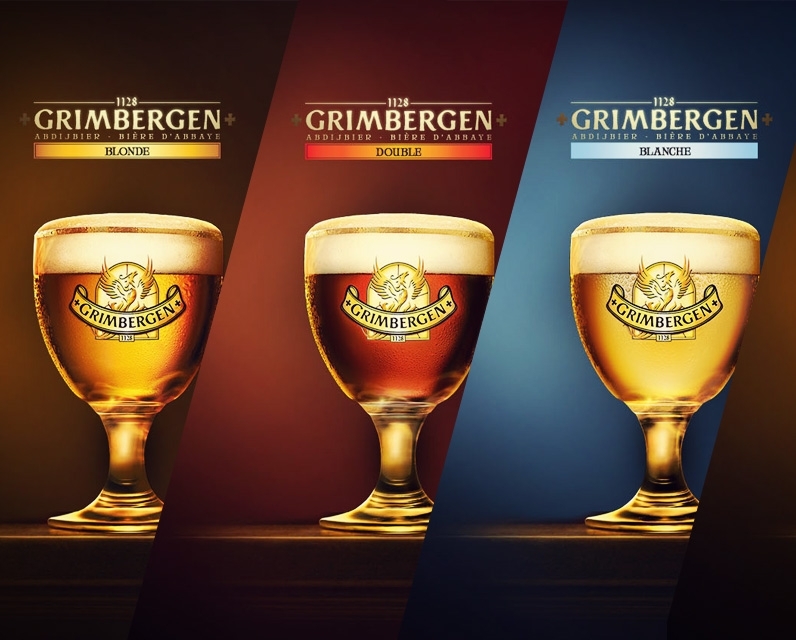 Biermarkt has numerous Trappist and abbey beers, but I can’t recall having had Grimbergen on draft and I think only once in bottle, so I went for it. Superb beer! Lots of interesting flavors, “Belgian” without that heady raisin/fig taste I find objectionable. There was an evident fresh orange note to it, probably coriander. Kind of like a pink Champagne mimosa with a good beer in it. A fine example of dubbel, made by Carlsberg in France for the export market. After I had it I saw on the menu Biermarkt has Westmalle Dubbel on draft – yes on draft. Must get back there to try this, and party like it’s 1856. A one-beer party, but that’s cool.